SnApp has now integrated with Top Producer, to enable real estate agents and brokers to have a seamless connection between their custom real estate app, and their Top Producer CRM account. We all know it’s important to have a functional CRM, so that you can keep your sales leads organized and up to date. One great way to generate more leads and to stand out from the competition, is to have your own custom app, available through SnApp. Here’s how it works. Customers can search the MLS, save searches, receive push notifications about new property matches, and easily message with you….all from inside YOUR App. 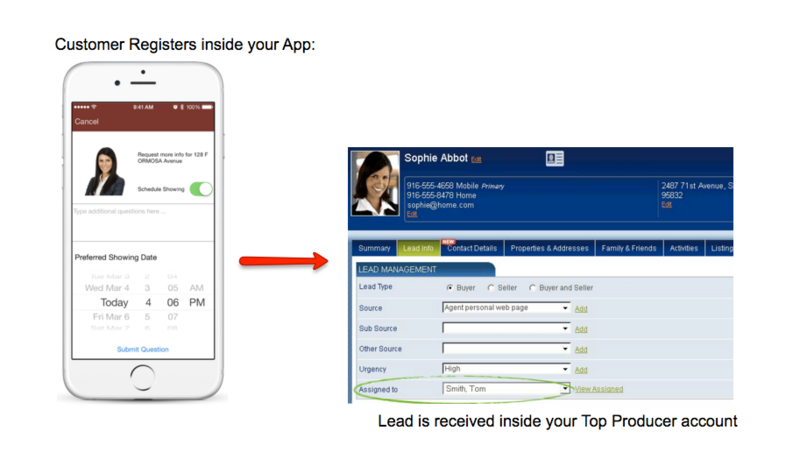 When customers register inside your App, their information will be available inside your CRM account. By having your App integrated with your Top Producer account, you will be able to generate more leads and to respond to them faster! SnApp is currently offering a free trial and special discount to Top Producer customers. Click on the link below to start your free trial and setup your own app. Use coupon code TP2016 to receive an additional 10% off, should you want to keep your app after the trial period. This entry was posted in Intregrations and tagged app for real estate agents, snapp mobile apps, top producer integration. Bookmark the permalink.